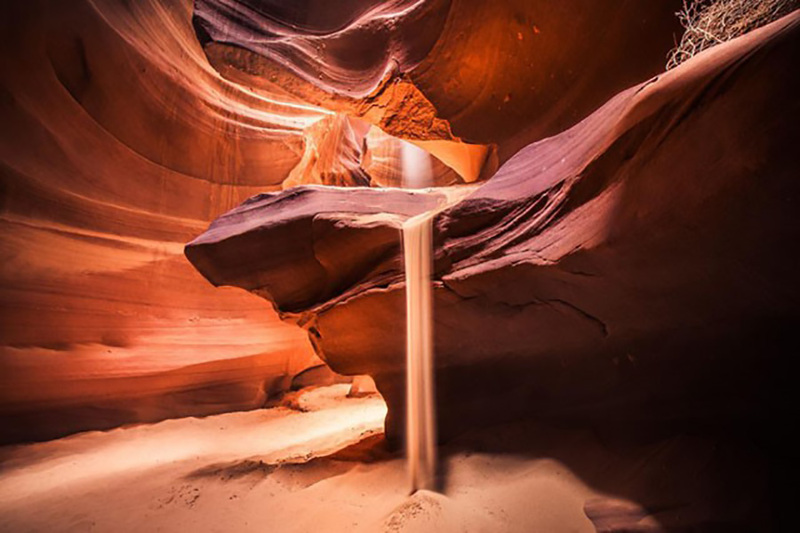 The slot canyons of Page, Arizona are on Navajo lands. By law, only native Navajo can conduct business on the property. This has resulted in several resident outfitters running operations to visit the twisty, narrow, photogenic canyons. 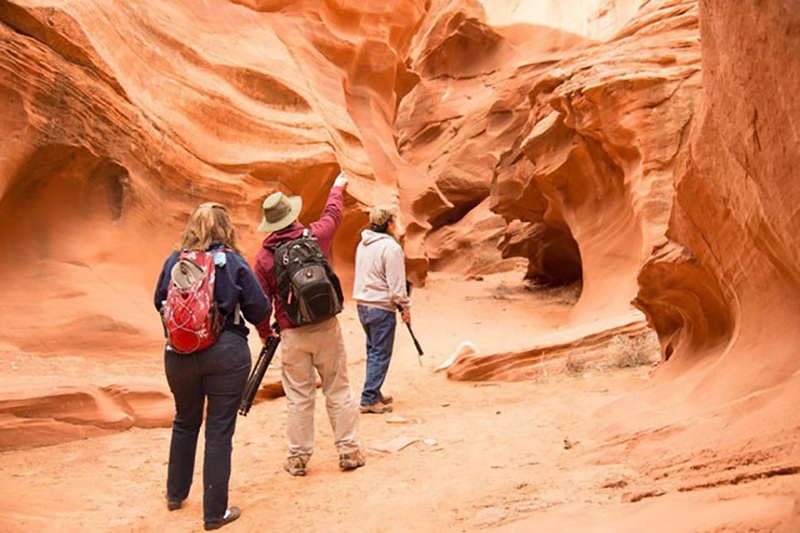 It is strictly controlled by the Navajo Parks and Recreation Department, which serves to protect the area from overuse and preserve its history. The slot canyons are known for their sinewy constricted passages that are illuminated from the sun shining in from above. The water and sand eroded passages snake well below the surface grade and are accessible through cave-like opening, some requiring ladders to enter. There are many slot canyons in which tours are offered. I spent 8-hours visiting four of them Owl, Snake, Sheep, and the famous Upper Antelope Canyon. All have a similar character, but each has a unique identity and offers a varied experience. 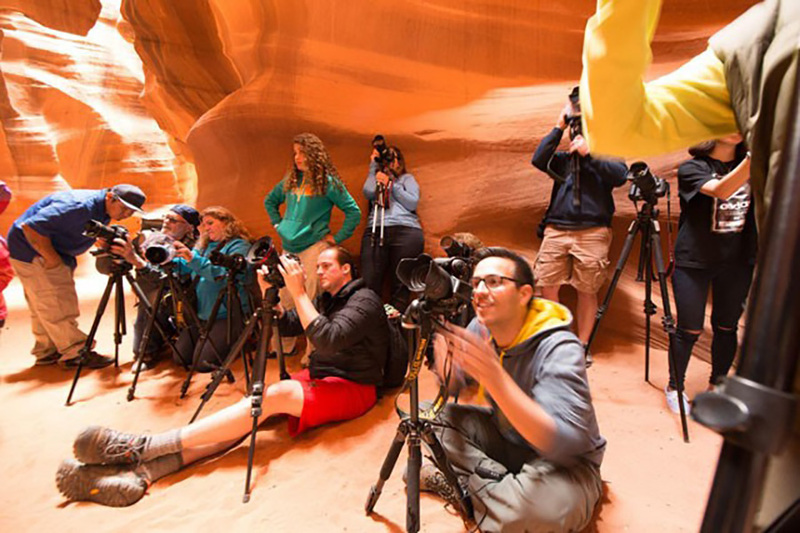 Tours are offered for photographers where tripods and DSLR are required to participate, and the general tour where tripods and DSLRs are not allowed. They do allow small point-and-shoot cameras and cellphones on the general tour. Four-wheel drive or flatbed trucks are used to reach the remote entrances via sand roads and dry washes. No public traffic is allowed on the site. Wet weather turns the access in a muddy mire and will cancel the tours. 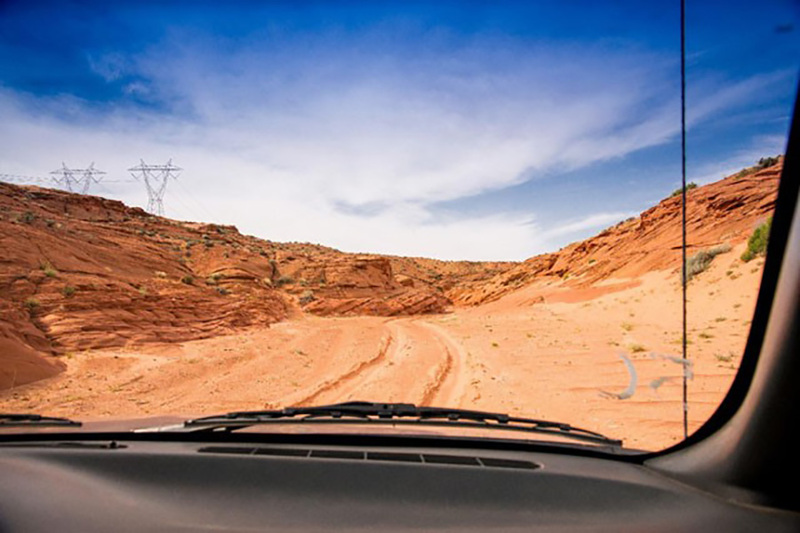 Four Wheel drive provides the only transportation down the dry washes to the canyon's entrances. At the cave opening, groups are segregated, with the photography group given priority access and special treatment. The guides bring the photo group past the others and head immediately deep into the fissure. The trips are timed to coincide with the arrival of sunbeams at key strategic points in the cave. That's why you see so many of the same pictures. As the sunbeams enter the gaps in the ceiling, the guides position the photographers with minutes to spare. Then the guides help the phantoms to appear by throwing handfuls of fine sand into the air. The light hits the dust and falls to the ground. Allowing for slightly different interpretations of the sunlit haze. These shafts of illumination are the ghosts or phantoms which appear in so many images. At another location within the cavern, sand is thrown over and atop a rock outcropping causing it to fall and cascade as if it is a waterfall. Sand is thrown over and atop a rock outcropping causing it to fall and cascade as if it is a waterfall. Hikers explore the canyon, looking for that perfect shot. While walking to each location, the guide gives tips on camera settings and how best to capture the nature of the red sandstone ravine. At each photo opp, the general group is held at bay and the photographers are directed on where to set up their tripods for the "best" vantage point (like those Kodak Photo Spots in Disney theme parks). Photographers position themselves and their tripods for the best angle to catch the sunbeams. 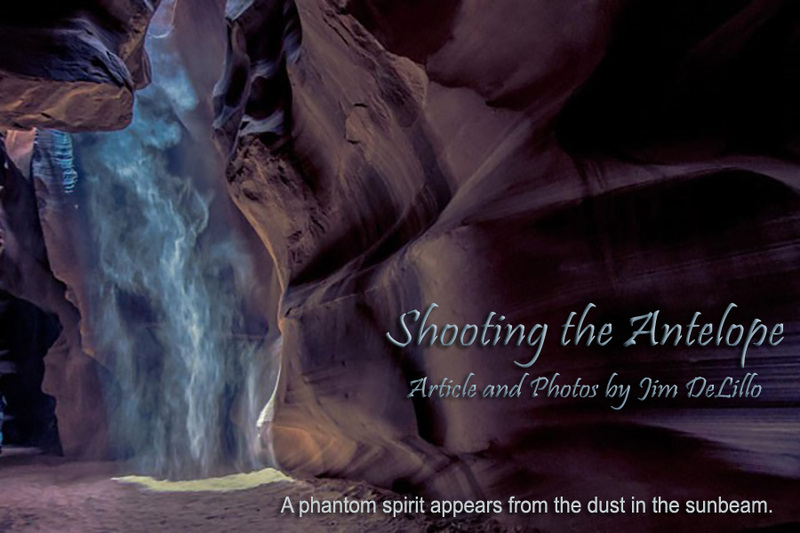 About the author: Jim DeLillo is a travel and adventure photographer who specializes in creating transporting imagery. You can connect with him and find more of his work on his website, Instagram, Facebook, and Twitter.